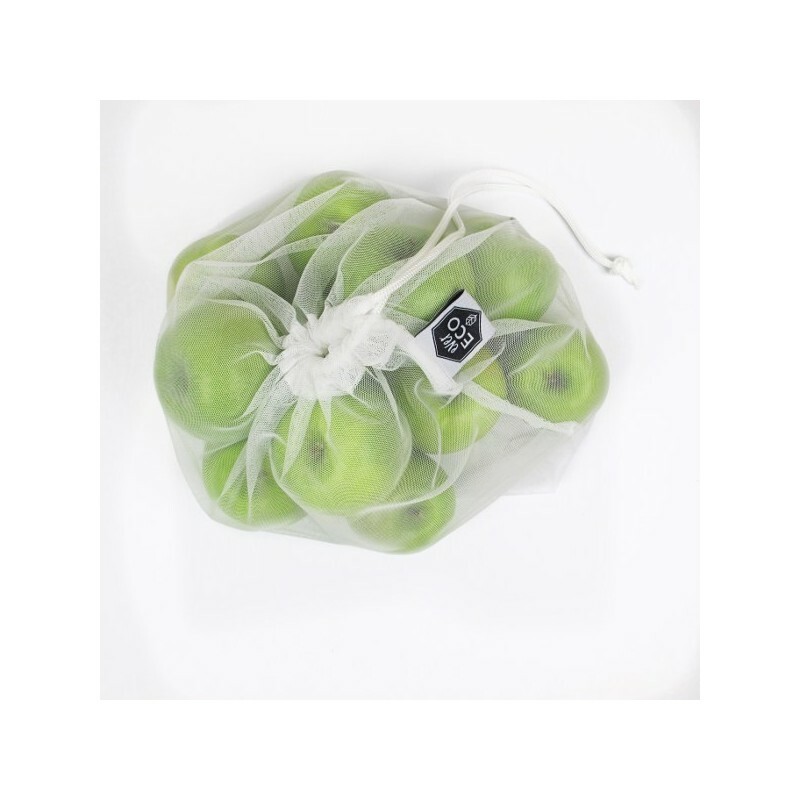 A set of 8 lightweight, extra large produce bags designed to replace plastic bags when grocery shopping. Essential for a zero waste lifestyle and those aiming to cut down their single-use plastic consumption. 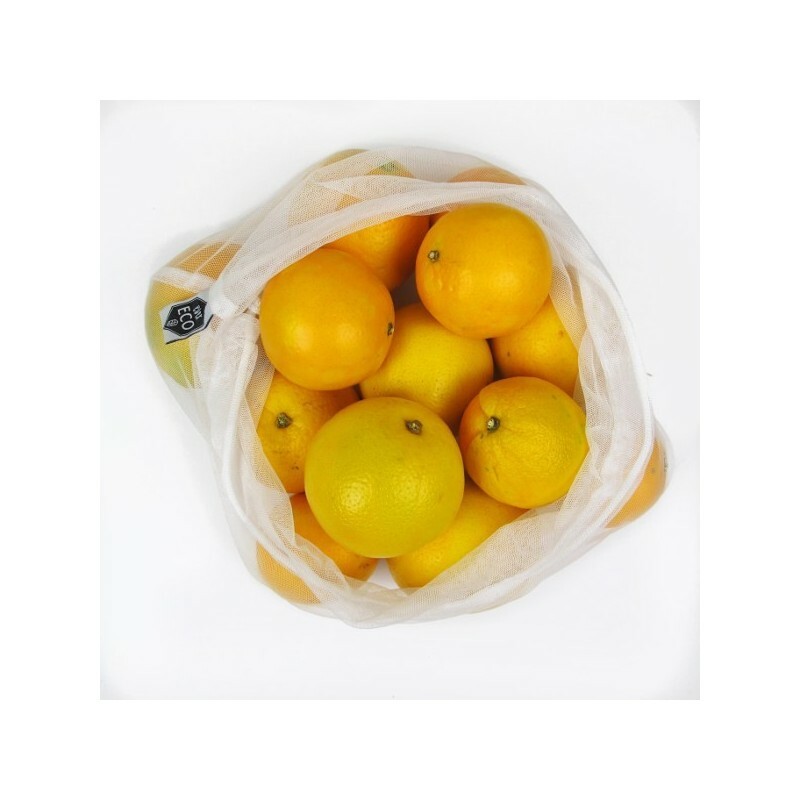 These are made from recycled plastic bottles (rPET) and large enough to hold up to 16 oranges! 8-pack with carry pouch. Bags are made from 100% rPET (recycled plastic drink bottles). This means 60% less energy and 90% less water went into making this bag as compared to similar non-recycled products. Made from recycled plastic bottles (rPET). Extra large bags measure 30 x 35cm. 30cm x 35cm. 8 x rPET mesh bags. 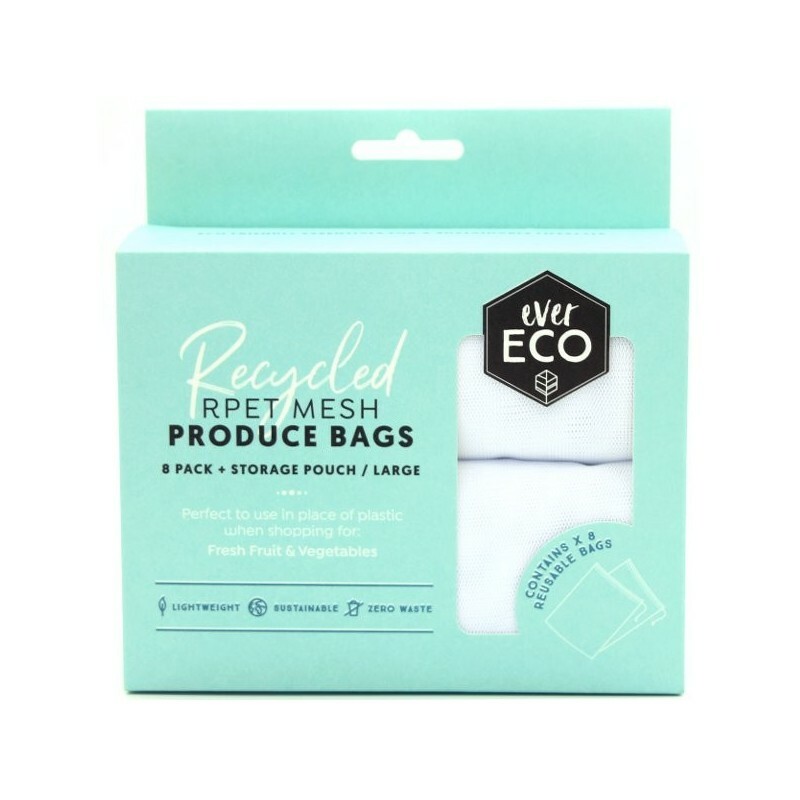 These are the first reusable RPET produce bags I’ve purchased so cannot compare them directly to the popular Onya product. I have yet to really put them to use, but in terms of first impressions they seem fair. I was a bit surprised by the dimensions - unlike most bags they are wider than they are tall, so loading produce into them could require a slight adjustment. They are also a bit smaller than advertised (closer to 27 x 35 cm), but plenty big enough for most needs. Some people worry about the extra weight of reusable bags as it adds to weight of the produce for checkout; these seem to be a very lightweight mesh, however the drawstring seems thicker and heavier than necessary - a suggested product improvement would be to use a lighter-weight string. If this was a real concern to you, you could remove the string completely. Transparency of the bags is good, so it’s very easy to see the contents. A fair few lose threads upon first opening the product, so hope this is not a sign of sloppy manufacturing. Also interested in the plastic carry pouch that is included - hopefully that is also made from recycled materials. Perfect for fresh produce shopping as well as for storage in the fridge. Need to buy another set to ensure I never use single-use plastic again. Love that salad mix can be washed in these bags.